Summer Camps June 3rd- August 9th! Check out our camp page by clicking HERE for information re: our AWESOME summer camps! We do all the WORK... You have all the FUN!! Play Games! Swing on the Rope! Jump in the Pit! Enjoy the Party Room! We can handle any size party! Parties are generally held on Saturday and Sunday afternoons. Need a weekday? Just ask! One hour party in the gym and 30 minutes in the party room. 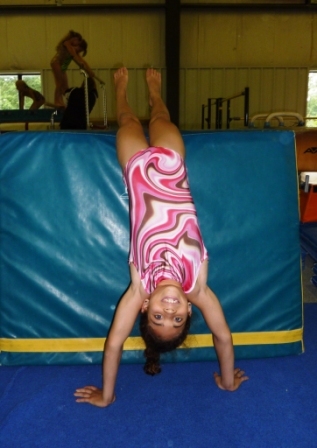 Supervised FUN games, gymnastics and open gym. Free balloon for each child! Decorate the party room however you want! Feel free to bring cake, pizza or anything you like - whatever the birthday child wants! Don't forget plates, napkins, cups and utensils. ***Extra kids are $15 each. This is the clinic for you if you want to master your back handspring! This intensive, but FUN, clinic is a full hour of drills that will get you flipping like a pro! Eagles holds AWESOME camps during major school breaks: Spring Break Camps, Summer Camps and Winter Camps. We offer plenty of play time in the gym full of trampolines, bars, beams, rope swing and foam pit! Kids will usually do a craft and play games as well. 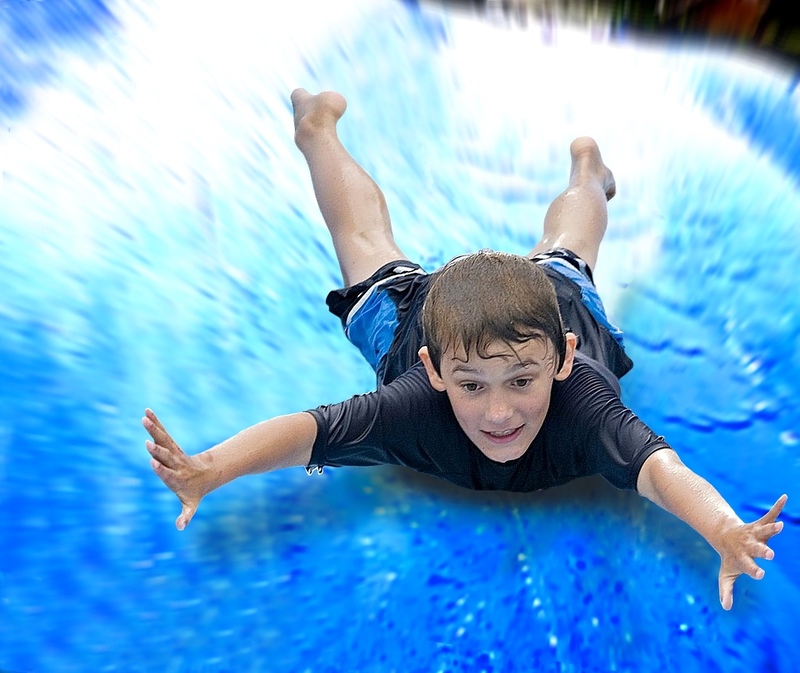 Our camp activities are kid-inspired and designed for maximum FUN!! We have had a gi-normous indoor sledding hill, the biggest water slide ever, musical productions, Super Heroes flying around the gym and MORE! Go to our calendar for exact dates and themes. Eagles opens up our 18,000 square foot gym to anyone (not just students) for supervised FUN play on our trampolines, bars, beams, rope swing and foam pit! Non-students need a release form signed by their parent or legal guardian to participate. When the kids are out of school, we probably have one of our AWESOME MEGA-Open Gyms! These are TWO solid HOURS of supervised playtime in Eagles gym! Watch the website for upcoming dates. 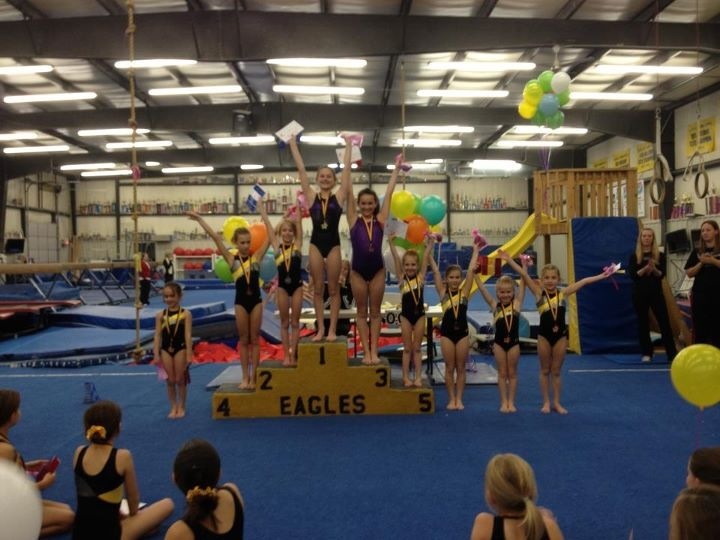 All girls in Eagles Recreational Levels classes, Mini Stars and All Stars classes are invited to enter our fun Club Classic meets! The girls will compete against each other in front of the judges which are Eagles' coaches. The girls learn the routines in class, then show them off at the meet where the gym is transformed into a real meet setting—but more FUN! All the girls will receive ribbons and all the girls competing in all the events will earn medals! Check our calendar for upcoming meets. 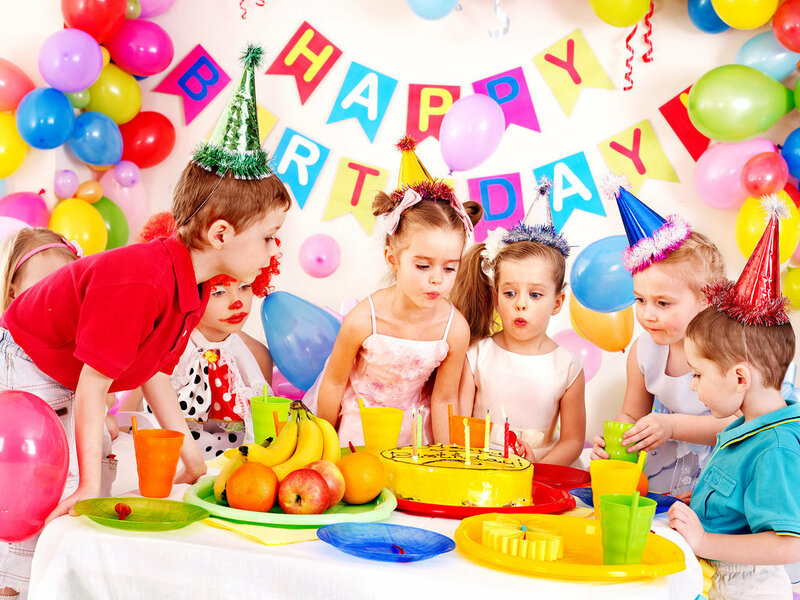 Birthday Parties & Other FUN!